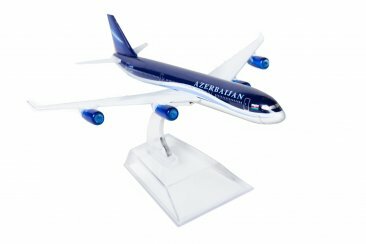 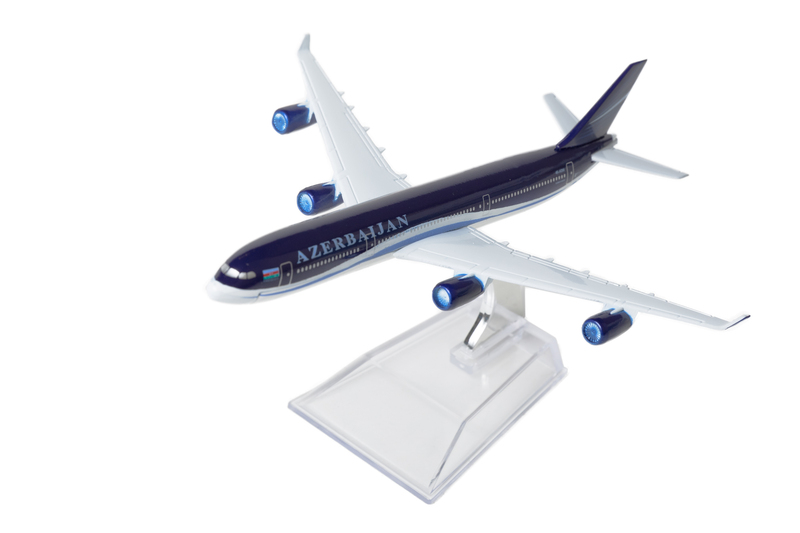 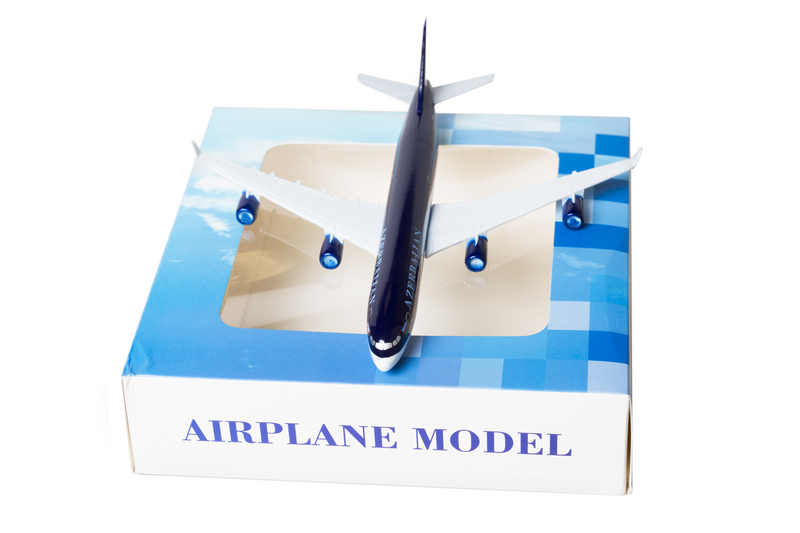 Scale model of Airbus A340-500 four-engine passenger aircraft in the livery of Azerbaijan Airlines. 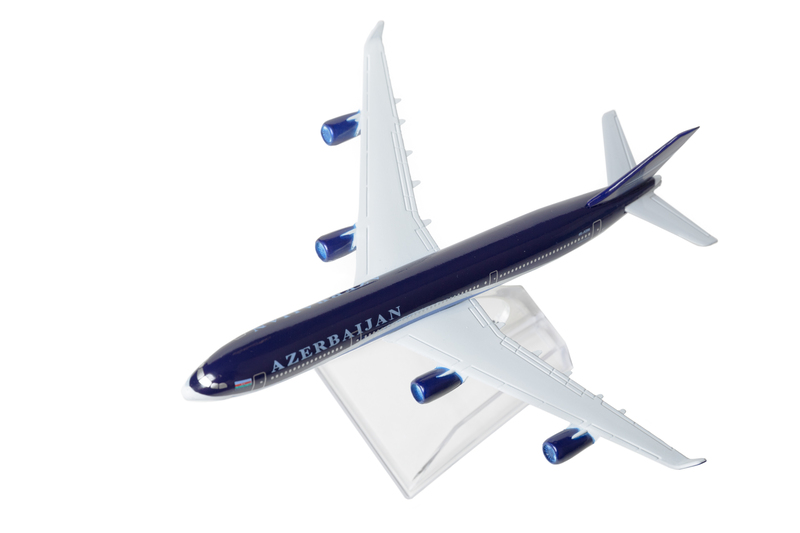 Scale is 1:400 (approximate length 16 cm). 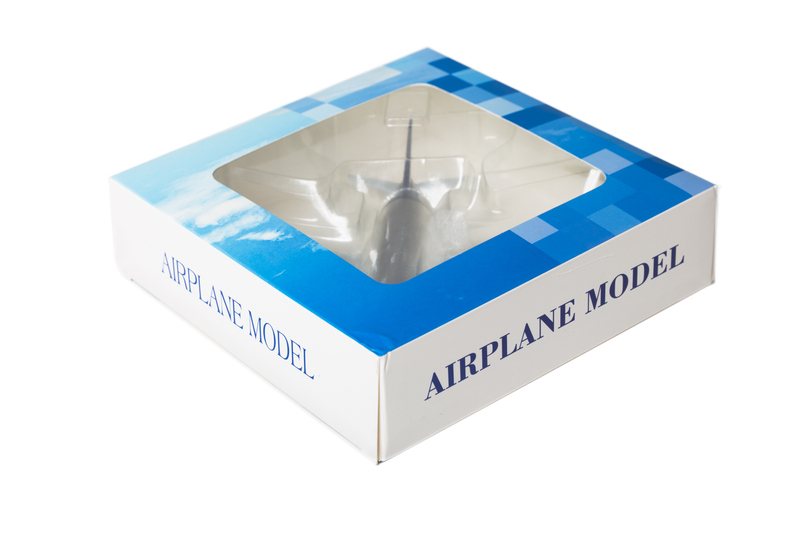 Stand included.